Damn this system is deep, after spending the last few days studying the Padres farm system like Jay Wrong looking to drown the sorrow of another losing season, that’s all I can say. In fact, I’ve come to have an even greater appreciation for GM A.J. Preller, and the sheer depth of this system. Since Preller took control of the organization he’s turned over the farm system in a failed attempt to compete, and then almost immediately sold off the win now pieces to land himself a new and better crop of prospect talent. Long known for his savvy signings on the international market during his time with the Rangers, Preller went bananas in the international period in 2016 landing seemingly everyone but Kevin Maitan. With the first wave of talent making it’s way to Petco in 2017, the future is looking bright for long suffering Padres fans. Preller has been aggressive on the trade market too, constantly reminding Dave Dombrowski that he has some ungodly incriminating evidence against him. Seriously, it’s got to be so good… Then came the Rule 5 draft, where the Padres pulled the unprecedented task of acquiring the top three picks, and adding a fourth player later. It’s his cold, calculated, and creative approach to acquiring talent that has made him one of my favorite executives in baseball. So believe me, I was more than happy to check in on his dragon eggs for this Sunday’s post. It’s the Top San Diego Padres Prospects for 2017 Fantasy Baseball. It is with the heavy heart of a disappointed Red Sox fan that I write this blurb on Espinoza. After signing for $1.8 million out of Venezuela in the 2014-15 International period, the small righty burst onto the scene gaining the admiration of scouts, front office types, and dynasty owners a like. He offers a double plus fastball, and two plus secondary pitches in his change and curve. The move to the Padres is certainly a long term upgrade as his park, division, and league setup improves dramatically. It’s important to keep in mind how young Espinoza has been at each level along the way. He has easy repeatable mechanics, and effortlessly ramps his heater up to the upper 90’s, even touching 100 on occasion. The only negative I can see is his slight build, but you know how I feel about short righties. Hopefully my spirit animal AJ Preller can build a contender by the time he hits Petco. Do you like power? Raw, nasty, blistering, sticky power? Sees head nodding.. Yes, me too, and Renfroe has it in spades. With bat speed, serious swing tilt, caveman strength, and a pull happy approach there’s real 30 homer power here. The flaws are in the approach, though it’s yet to really hurt his minor league batting average, as he’s a career .283 hitter in the minors. I would expect him to break camp with the Friars, and start from the jump. Serious contender for NL rookie of the year. Grey covered him earlier in the offseason, it has gifs! In an attempt to make the Padres great again, Dave Dombrowski traded away a significant package of talent in order to acquire Craig Kimbrel. Margot was the jewel of that haul. As he looks to be on the cusp of a major league job in 2017, with a chance at making an immediate impact. Arguably the premier hit tool/speed prospect in the minors, .300 batting averages and 25+ steal seasons should be a staple of Margot’s game. The reports on the power are conflicting, but I see him topping out at 12-15 homers unless he adjusts his swing. Regardless he makes hard contact to all fields, and knows how to put the bat on the ball. A talented righty who was part of Houston’s Brady Aiken debacle. I don’t want to rehash the thing, but more or less when they didn’t sign Aiken they lost his slot money, some of which they needed to sign Nix. Instead he did a post grad year at the infamous IMG Academy in Bradenton, Florida, and was then taken in the 3rd round of the 2015 draft. Nix throws a mid 90’s fastball, a high 70’s 12-6 curve, and a changeup, and throws all of them for strikes. Looks to be a mid-rotation innings eater with solid ratios. Cordoba has been racking in the accolades since coming over to the states. After winning the MVP of the Gulf Coast League in 2015, he followed it up with a batting title in the Appy League last year, posting a .362 average. The Padres added him as the jewel of their Rule 5 draft haul this year, which means he’s going to get a shot to stick on the big league roster all season. He brings an above average hit tool and speed to the table, as well as good instincts. The Padres obviously believe he’s advanced enough to handle some reps with the big club. Ladies and gentlemen your division 1 ERA leader for 2016, with a sterling average of 0.69. Lauer is a lefty with good stuff across the board, and plus control to match. Some scouting reports label him as a number 5 starter, but with his track record dating back to High School, it’s tough for me to buy there isn’t mid-rotation upside here. He throws two above average offerings in his fastball and slider, and two average offerings in his curve and change. Lauer’s pitchability, easy mechanics, and consistent strike throwing tell me he’ll be a fast mover, more than likely reaching Petco sometime in 2018. The Padres took a shot on Gettys back in the 2014 draft, believing they could mold the raw toolsy player into a future major leaguer. While there have been bumps in the road, 2016 was a major breakout, as Gettys showed improved bat to ball skills, and plate approach. He has plus speed swiping 33 bases in 2016, and tapped into his average power swatting 12 homers across two levels. Granted the power surge looks suspiciously Cal League aided, where he hit 9 of his 12 homers and ran less. There are still serious swing and miss worries, and he’s still a work in progress, but he made some major strides last season. Another member of the traded for Kimbrel club, Asuaje broke out with AAA El Paso in 2016 slashing .321/.378/.473 with 9 homers and 10 steals. In a lot of ways I see a poor man’s lefthanded Dustin Pedroia in Asuaje. He has above average contact skills, average speed that plays up due to a high baseball IQ and good instincts. HIs game power is surprising as well from a player so slight in stature. I think Asuaje is a player that’s going to fly under the radar. He’ll battle with Ryan Schimpf for the second base job, but he has the versatility to play a utility roll. Between Renfore, Jorge Ona, and Naylor the Friars have a wealth of power bats in the system for he first time in a long time. After getting some hype after a strong showing in the Future’s Game festivities, the Padres traded Andrew Cashner for Naylor. His powerful lefthanded swing and hitting acumen, lead many to believe Naylor could have middle of the order upside. He’ll need to improve his pitch recognition, and show the ability to hit offspeed pitches in order to meet those expectations. Doesn’t play well with others, or with knives, and if you don’t believe me google Stone Garrett Josh Naylor. A hit tool maven, Urias has used his elite bat control, a patient approach, and pitch recognition skills to a career .319 batting average in the minors. His ability to spray hits all over the field and make solid hard ground ball and line drive contact should keep his average high. Problem is, he doesn’t possess either of the power or speed skills we look for in our fantasy prospects. So while he fits the profile of a top of the order hitter, he’s more likely to settle into the two hole, than to leadoff. His ability to play all over the infield, and make solid and consistent contact make him a high floor player for a 19 year old. After hitting .330 in the high-A Cal League, he’ll more than likely start the season in AA. I’ve seen the appropriate Placido Polanco comps thrown around, and think those are fair. One of the most heavily debated prospects of the 2016 J2 class, Ona has one undeniable skill on all scouting reports, power. A physical specimen who burst onto the scene in the 2014 Pan American Championship, where he hit .636 with 4 homers in 8 games, and slugged 1.364. The reports out of instructs, and those that have watched him recently, say that he looks rusty, and that not playing competitive baseball for close to two years shows. Fear not, he’s not the first player to show rust after a lengthy layoff, and I’ll trust A.J. Preller’s track record on the international market. I’ve seen comps range the gambit from Kirby Puckett to Dayan Viciedo, the truth lies somewhere in the middle. Ona has his fans and his detractors. An absolute trade robbery was committed when Paddack was acquired for Fernando Rodney. The talented righty was off to a great full season debut prior to the trade, which was then followed by forearm tightness in July, and TJ in August. So you won’t see Paddack for a year plus, but he’s a worthwhile stash due to his elite swing and miss stuff. His changeup is a plus plus pitch, he throws an above average fastball in the mid to low 90’s, and an average curve he’s shown feel for. Thanks for all your hard work. Just finished the last podcast, and on comes another great analysis. 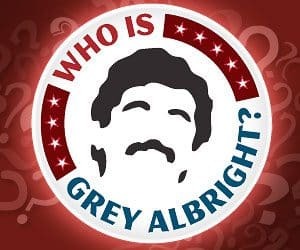 I’ve a query for you and/or Grey. In a dynasty, was offered Giolito/McCullers for Kluber/Travis. Thoughts? I could also try for Giolito /Taillon. @Rufus Xavier Sasparilla: I’d hold on that trade. Unless you’re a year plus out and want to add them for the long term. Ever then, you should be able to get more for Kluber. @Ralph Lifshitz: Thanks! I am pretty tempted by those guys, as my pitching is somewhat aging (Kluber, Carcasco, Tanaka, Rodon, Heaney) and I’m looking to finding another ace in the pipeline. @Rufus Xavier Sasparilla: Makes sense, I’d shop that offer and maybe even hold off until in season. @Jb: Hahaha handle like the Professor! I’m dying over here! Dude, he’s my favorite GM right now. He’s like the guy in your dynasty league you never trade with, if it’s too good to be true you wonder what he knows. He more or less turned Yonder Alonso into Anderson Espinoza. @Old School Brother: Evil genius! DD didn’t undo the deal either. I’m telling you he’s got pictures of Dombrowski in women’s underwear or something. @BigEasy: You’d be surprised Soler and Peterson still have value to many. So kick the tires and see what you can get. @BigEasy: how big is the league? Larger than 12 might see more interest. @BigEasy: joc is actually getting better so he certainly should. Love your weekly podcasts! Takes an age to download them compared to others for some reason but you and Halp do great work. So going back to the question in other thread, you like these 4 guys pretty similarly and would do any/either of them for Matz if you’ve too much pitching and needed a prospect bat? Meadows, Gleyber, Margot, Devers. I do wonder where Meadows will fit in though with that sick Pitts OF if they aren’t moving Cutch. @Swfcdan: Hmmmm I don’t know why, but I’ll look into it. Think about it for a second, it’s in the Pirates best interest to move Cutch. Why wouldn’t a team like that be concerned with cost? They will move McCutchen at some point in the next few months it’s just finding the right deal. I mean Margot will have a job, but he doesn’t have superstar upside like Meadows. Gleyber is two years away, and Devers is two to three years away. IMO Meadows is a no brainier. @Ralph Lifshitz: Gotcha, Meadows will be my prefered choice then, didn’t realise Devers is still so far off. I do wonder if they will move Cutch though as their demands are so high (and the whole fanbase icon thing), and after his down year there just doesn’t seem to be as much interest in paying for him now- we’ll see. Totally unrelated prospecty question, because you are the prospecty man of course. Would Trey Mancini be in your top 100/150 if he were eligable? The cup of coffee thing is kinda annoying as it takes these guys off prospect rankings, I know he’s blocked at 1st but his bat plays so I thought he could be a nice MLB ready under the radar guy to stash in our farms until he gets a chance (DH this year?). @Swfcdan: Yeah at worst Meadows is up next year, they’re not going to stash him forever. Mancini is a prospect still, he hasn’t reached his limits. You have to accrue 130 at bats or 50 IP. He might be in my top 100, certainly 150. He needs to get traded though. @Ralph Lifshitz: Yep Mancini does need a trade. The friggin lispers nightmare is prospblocking again, I hate that dude- why the hell didn’t they now give Mancini a chance at DH. @Racehorse: Chapman, Hoskins, Bird, and Cozens. Hey Ralph! Nearing the end of this Kershaw keeper trade saga… which side do you like better, competing to win this year in a 12 team roto? @Duda Want Build a Snowman? : I like the Kluber side. Just got another interesting one…$6 Correa for my $30 Kershaw and $3 Moncada – what do you think? If Correa side, does Correa beat the Kershaw only for Kluber and Desmond trade ? @Duda Want to Build a Snowman? : I still like the Kluber trade, having to throw in Moncada makes it a non-starter for me. @Ralph Lifshitz: Thanks! Yeah, good point. Moncada could be that good as soon as next year. Whats the deeeal with buddy reed? @SheriffMcRawDawg: Ha! I was hoping it wouldn’t cost me Paddack. Reed’s an excellent baserunner and not much else. I don’t really want any part of him. @Ralph Lifshitz: my team of youtube scouts are down on him haha. Swing and set up just look so awkward. If looking at catching prospects in an OBP league would you rather take Mejia or Collins? This assumes Collins stays C eligible. Thanks. @Lougle: That’s a tough call, Collins is closer and he gets more of a bump in OBP leagues. I expect him to stay at catcher because the White Sox don’t value catcher defense. Preller didn’t take the 30 day suspension on accident. Go Friars! @Mr Baseball: I’d guess .265/18/20 this year and more in the future. My team is in complete rebuild and I own 90% minor leaguers. I have swanson, dom smith, albies, rodgers, devers, jp craw, margot, tapia, luke weaver as my most valuable guys. Its a 20 team keep em all team and in trying to compete in the middle of the pack roughly 2018 or 2019 season. Out draft is super deep, theres over 30 of the guys on your top 100 list available. Id say there 40-50 guys with good value. I currently have picks 1-3-8-12-23 and 4 at the 30-50 range. Eloy bellinger kopech kyle tucker derek fisher willie verdugo isan, y alvarez, keller, t mckenzie, maitan, and lots of others that have gkod value are avialable. This past years class with senzel ray lews also is available. I was thinking bellinger and senzel at 1 and 3, then see what falls to me at 8 and 12. And was very happy. However i was just offered correa pick 15 and 31 for Swanson JP weaver and pick 3 overall and and mullling it over as i dont see swanson or jp becoming close to as good as him. This league favors obp heavily as well, which is important. Do you think the trade is smart? Or kinda dumb as i need the quantity. Sorry for the jumbled writing on my phone during lunch! @Julius: Eloy is the first pick, and Bellinger is two, I’d do Kopech, Senzel, Calhoun, Alvarez, Tucker, Fisher, Lewis, Isan, McKenzie, Keller, Ray, Maitan, Verdugo following. Lots of good options there. @Ralph Lifshitz: Haha thank you very much! The post was long but the main point was should I trade JP, Swanson, Weaver and the 3rd overall pick for Correa and picks 18 and 31 haha. THank you! @Max: Haha I was on the phone at work, and missed the end. Make the trade, no way either of those guys approaches Correa. No way. JP is a nice player but he’s not even in my top 20. Swanson is probably around 15-20 for me. Good players neither is Correa. i think part of logenhagen’s metrics involve hearing you, after last few weeks of putting out at most 1 team per (PIT/CUBS) he’s suddenly shoved out 2 in either 1 or 2 days total, STL/MIL. maybe he’s just got something against east euro’s? good thing i never got my hands on any of ona, almanzar, as i’d not have known about urias being ranked higher, albeit urias was drafted last out of those guys this year. i went pretty much all at least projected power guys in all positions though, as i needed them (other than cozens). @goodfold2: of course i might’ve screwed up if tatis would’ve been over tejeda MI TEX, as that’s who i went with for my MI pick. just missed long CIN with that pick. @goodfold2: Ona and Almanzar have better upside, but they’re 2 years behind Urias’ ETA. why if you had kirilloff as ranked higher does he go as a long shot at MIN and here morejon as a spec on beach? they are both very young, so it’s not an ETA thing. @Blind Umps have Rights too (seriously their union is that strong): It’s been three months and my mind has changed, I’d rank Morejon higher now, but it’s not that far. This is why I’m going to do top 10’s next year and scrap this format. They’re still close but sometimes the lines between the two are blurred, and it leads to confusion. Long and the short, I like Morejon more now than I did in October. I’ll get around to updating my first year player draft rankings, but I’m trying to get through the systems. Not sure that’s a good answer but it is what it is. @Ralph Lifshitz: 3 month mind change makes sense. do more than 10 though if you are scrapping the format, as you now do much closer to 30 than 10, and it’s quite useful, as minorleagueball and logenhagen are only up to date lists that even do more than 10’s. mlb.com’s lists are nice and long but outdated. @Blind Umps have Rights too (seriously their union is that strong): Yeah it will be a top ten + on the right systems with some low minors spotlights. I’m going to go toward a more standard ranking model next year. @Blind Umps have Rights too (seriously their union is that strong): oops, you also have nix listed at top of floorboreds and again at near the end of them.